This quote by the legendary basketball player, Michael Jordan, aptly sums up the importance of teamwork in today’s world. He might just be talking in the context of basketball, but this is significant everywhere, especially the corporate framework. Companies thrive on teamwork, from the lowest to the highest hierarchical level. Until a team or department works as a single unit, chances of success can sometimes be slim. In the constant cycle of employees joining and leaving, keeping the team together can be hassle prone. That’s why more and more firms these days are organising regular corporate outings, and we suggest, if you are a company or work in one, you do the same. In a fast-paced metropolis like Delhi, this becomes even more imperative, owing to the highly competitive work culture. You could just have a small workshop or conference at a nice hotel in Delhi, or go on a full-day trip. For those planning the latter, we have compiled a list. 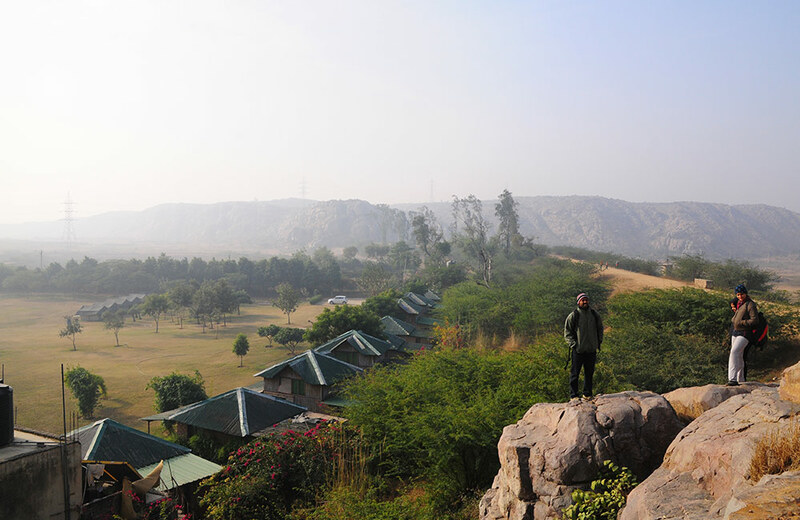 Located amidst the Aravalli Ranges, Camp Wild Dhauj allows you to enjoy teambuilding activities while admiring nature. Playing and running around here, away from the city’s pollution, will be conducive not only to the team/department, but individuals as well. They have several interesting activities to indulge in, such as Trust Fall, 3-legged Football, Tug of War, Key Punch, Acid River, Knot Maze, and Sheep and Shepherd. Plus, you can also try bouldering, rappelling, rock climbing, tyrolean traverse and zip lining. There is even a ‘hidden’ lake in the area, which you can hike to! Push yourself to the limit on the obstacle course with Burma bridge, commando net, ladder climbing, cat walk (not the fashion one), Mogley walk, monkey crawling and tunnel crawling. Camp Mustang offers two distinct packages for professionals: Challenger Series – Team Building Events and Outbound Training. The former involves several activities grouped as ‘Coming Together’, ‘Working Together’ and ‘Celebrating Together’, highlighting the various stages of teamwork. 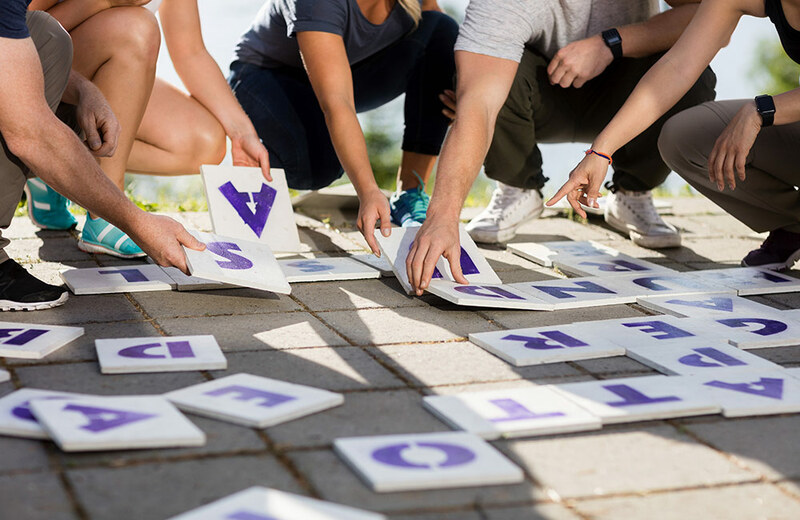 Under the Challenger Series, the Ice Breaking Activities help employees get to know each other, while the Adventure, Navigation, Construction and Clue Cracking tasks develop their mental and physical abilities, team spirit, communication skills and strategy, and sensitivity (towards clients). Then there are Puzzles that attempt to hone the intellect, whereas collaboration activities try to make them work together. 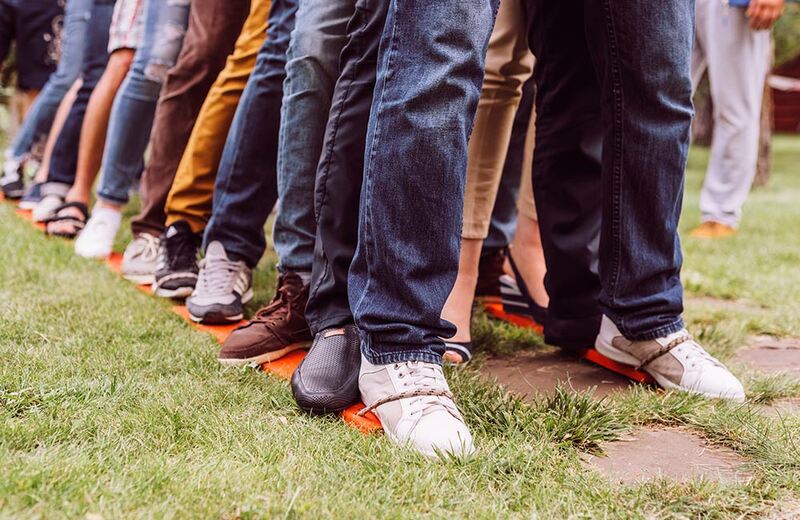 Similarly, the Outbound Training model has three aspects: Funpill, which engages team members; Jumpstart, which builds trust and togetherness; and Lead, which creates leaders. An outing at Botanix Nature Resort is sure to benefit your organisation as their programmes attempt to create a self-sufficient team. Leadership, teamwork, team bonding, trust building, empowering individuals, and performance and confidence boosting are some areas that the activities here focus on. It also has special programmes for kids that seek to develop empathy, compassion and conflict resolution abilities. There are several recreational indulgences too, including hot air ballooning and ATV rides…believe me, I have been there myself as part of my company’s team outing. Great food, greenery to as far as the eyes can see and DJ make the experience one to remember. Dream Island is yet another among the places near Delhi for corporate outings, and a good one. Here, you can have a competitive game of cricket or see how you fare on the obstacle course, which has zig zag bars, Burma bridge, Tarzan swing and spider’s web. Another wonderful thing to try here is treasure hunt, which you can do on your own or with a team to see how you bond. For the ultimate fun and teamwork, you have got to play the one and only, paintball. Additionally, adventure lovers can also engage in valley crossing and rock climbing for a memorable outing. Situated at the foot of a rocky cliff, Camp Tikkling just happens to be the place where 6th Season of MTV Roadies was shot! Woo…is your adrenaline rushing already? If it is, then you have to come here ASAP. For starters, you can climb up or rappel down the hills you see around, zip line at great speeds, explore nearby villages or even learn to survive in the wilderness…very Bear Grylls style, isn’t it? There are lots of green spaces within the campsite, where conferences become more than just conferences. You wouldn’t know when time marched on, moving from the height of day to a reddening sunset because you will be busy having fun. 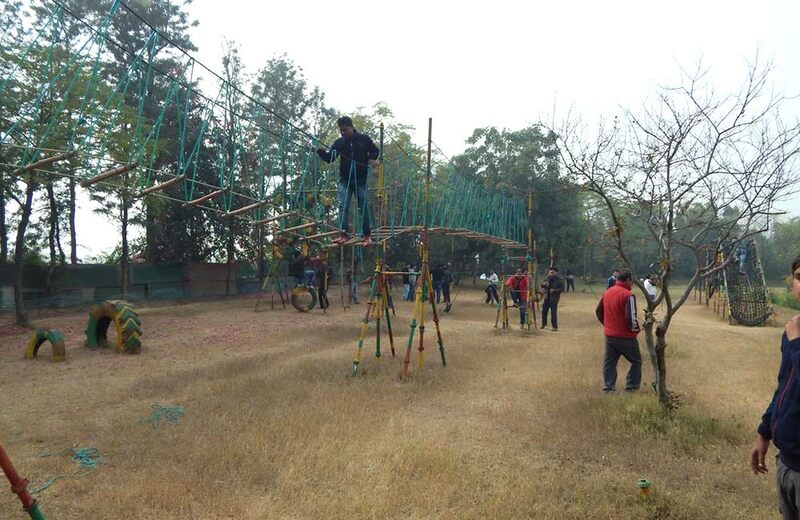 Sprawling across 50 acres, Surjivan Resorts is a great place to enjoy teambuilding activities. Apart from this, you also have an unmissable chance to experience India’s rural charm as it is a village-themed resort. Traditional games like pitthoo, gilli-danda, kanche, rassa kashi (tug of war) and even ‘live’ snake and ladder can be enjoyed here. As far as modern games go, you can indulge in football, cricket and volleyball. 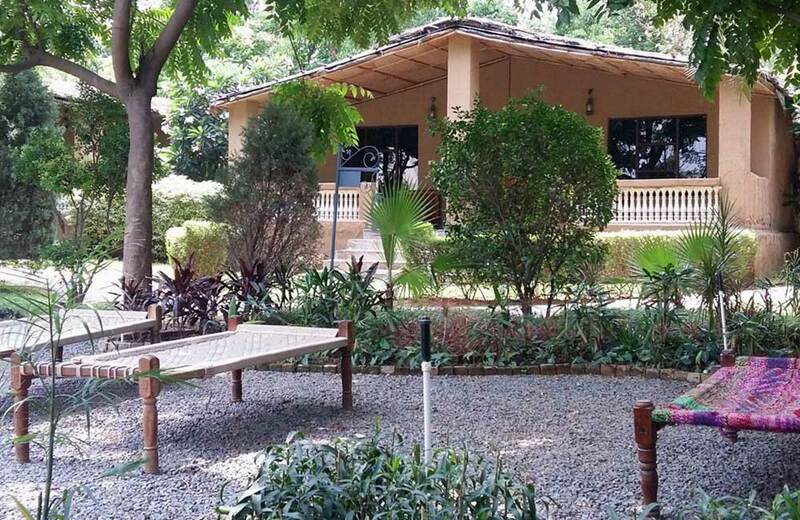 This is not all, as Surjivan Resort also organises herbal farm tours, tractor and camel rides, winter bonfire and adventure activities like rappelling, river crossing, rock climbing, parasailing and hot air ballooning! A traditional mela with snacks and games is another attraction. Lush greenery all around, gentle wind caressing your body and a host of activities to indulge in…this is Aravali Resorts and more. 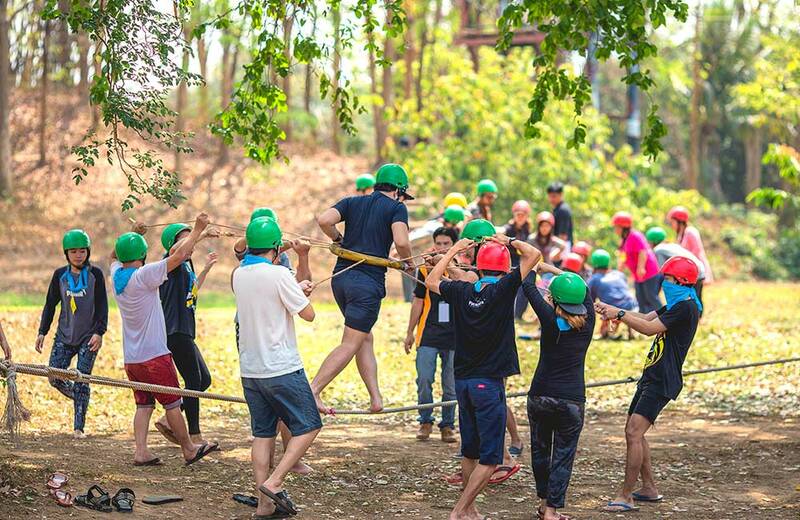 Set on over 7 acres, it has a gamut of teambuilding activities, including Group Juggle, Human Knot, Fill up the Water Bottle, Balance on Board, tug of war, and hurdle race. Further, stuff like paintball, spider web, commando net and Burma bridge are also available here. After a long day of activities, you can relax in the resort pool or chill out with freshly brewed beer at the in-house pub, Downtown. And, as is common to most corporate outing destinations near Delhi, this one too has a DJ and dance area. Located in the ancestral village of Saif Ali Khan, yes, Saif Ali Khan, Thakran Farms offers a whole lot of activities to keep your colleagues engaged and entertained. This farm claims to have a one-of-its-kind hedge maze, spread across 2.5 acres, which has 18 concentric circles around its centre, 80 feet in diameter, big enough to accommodate 70 people! Just a walk through the fruit orchards will refresh and prepare you for the slightly tiring, but hugely beneficial day ahead. Apart from corporate activities, you can try indoor, outdoor and ethnic games, obstacle course and farming, and even see farm animals from up close. 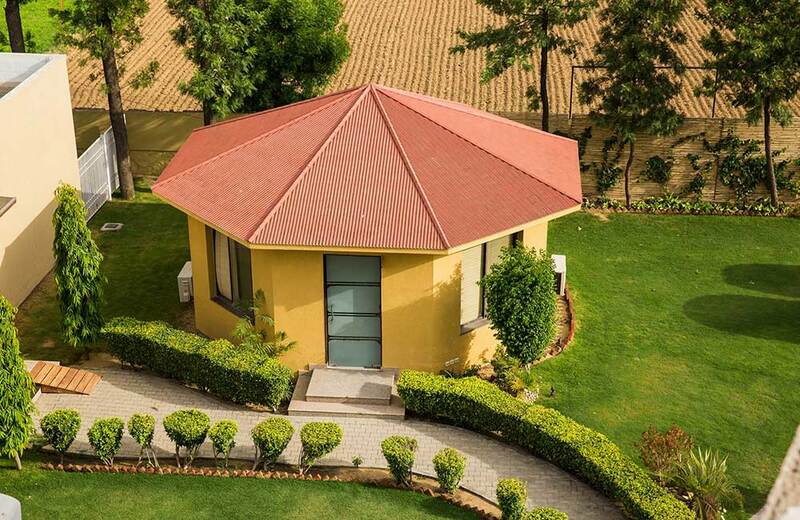 Another corporate outing destination near Delhi based on the village theme, Pratapgarh Farms features mud huts and even cattle barn and poultry barn. You will be especially delighted with the amount of greenery here in the form of lawns and fruit orchards. 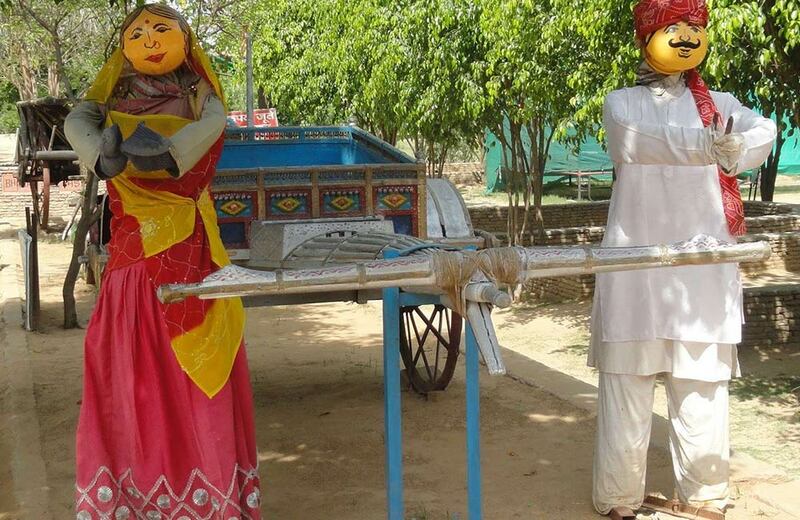 Gulel (slingshot), kabaddi, kushti (traditional form of wrestling), handloom and charkha weaving, water pail balancing, matka (pot) painting and mud bath are some rural activities to try here. Plus, you can even take a dig at farming and animal husbandry to really get away from the noisy cities and connect with nature. DJ, folk dance and music, and delicious food make the experience even more enjoyable. An 18th-century fortress near the Ganga River, now converted into a heritage hotel, Kuchesar Mud Fort is ideal for a rather relaxed corporate outing near Delhi. You can simply spend time with your colleagues on its lush lawns or try activities organised by trainers with a professional degree in the field of teambuilding and management. Here, a day begins with a bird watching tour, going on to include the team activities, farm visit and even an exploratory trip to the fort. 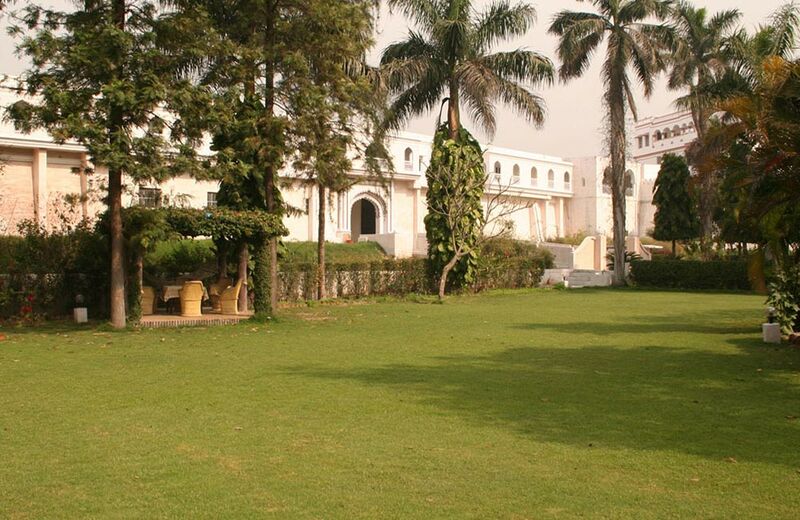 The heritage hotel even allows you to indulge in one of the most iconic activities of Delhi, kite flying! Work together with a partner to skilfully manoeuvre your kite as you try to bring down others in the sky. These are our picks of the best corporate outing destinations near Delhi, where you can take your colleagues or employees for a memorable and fun day trip. 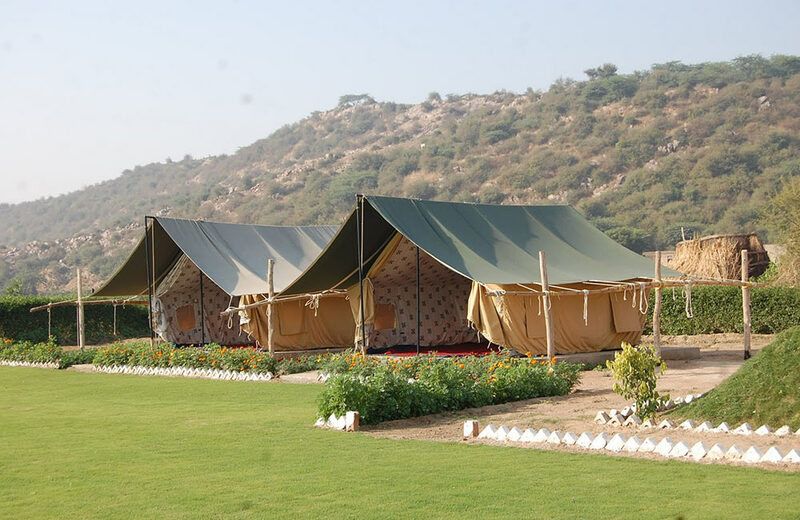 The best thing about these is that they also provide accommodation in proper rooms, tents or cottages; therefore, an overnight trip is also possible. So, there you go on an outing which is sure to benefit you and your organisation in ways you wouldn’t have thought of. Thank you so much for this great blog. We offer Hotels near Delhi for Conference meetings.